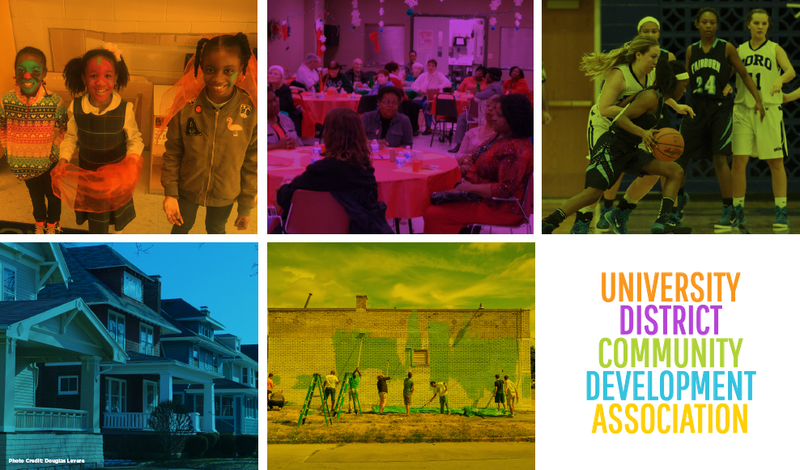 Join the Team at UDCDA – Community Development Coordinator Position Now Open! We’re thrilled to announce that the team at UDCDA is growing! Thanks to the support of LISC Buffalo, the Housing & Community Development Department is welcoming the new position of Community Development Coordinator. 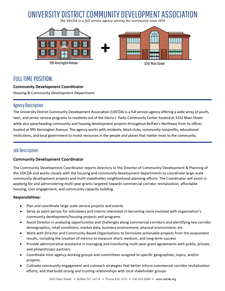 The Community Development Coordinator will work with the Executive Director and Director of Community Development & Planning on a number of exciting community and economic development initiatives working to transform Buffalo’s University District. Please download the job posting PDF for a full description of the position and how to apply. The Community Development Coordinator reports directory to the Director of Community Development & Planning of the UDCDA and works closely with the housing and community development departments to coordinate large-scale community development projects and multi-stakeholder neighborhood planning efforts. The Coordinator will assist in applying for and administering multi-year grants targeted towards commercial corridor revitalization, affordable housing, civic engagement, and community capacity building. Assist Director in analyzing opportunities and challenges along commercial corridors and identifying key corridor demographics, retail conditions, market data, business environment, physical environment, etc. Coordinate inter-agency working groups and committees assigned to specific geographies, topics, and/or projects. Candidates would ideally have a Bachelor’s Degree in urban planning, urban design, public administration, environmental design, or a related field with at least one year professional or volunteer experience in one of those fields. Advanced degrees can be used in place of professional experience. Interest and/or experience in community development, economic development, or grant administration is preferred though not required. Candidates who are self-motivated, critical thinkers, and analytical-minded are strongly encouraged to apply.